All my friends are getting married. It seems like in the past year I’ve been to so many weddings! Of course, after marriage, you know that babies are on everyone’s mind! I can’t wait for my friends to start having babies, and to get a head start I’m making some cute DIY baby clothes. If anyone you know is expecting this is the perfect baby shower gift idea! 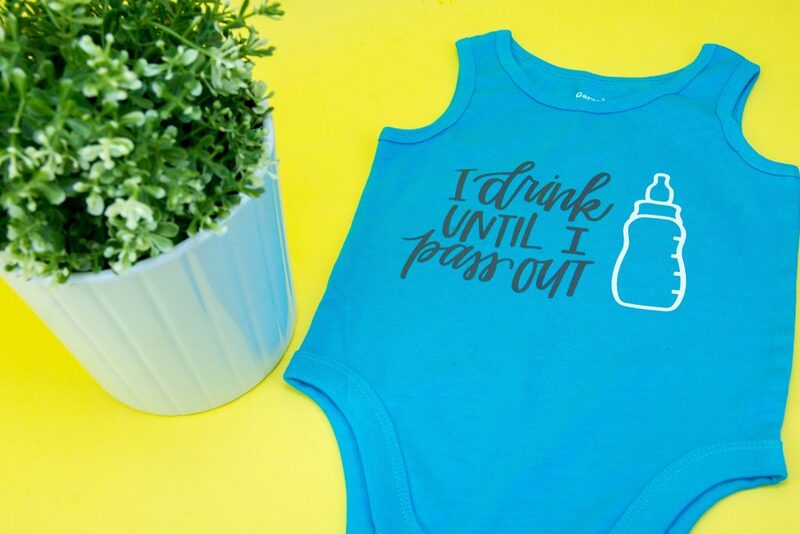 We revamped this boring onesie we found by adding an adorable quote and bottle in Iron-On. If you’re wondering where we got this adorable little decal and quote its from a die cutting file on Makers Gonna Learn! It’s a membership website designed for die cutting lovers like you! 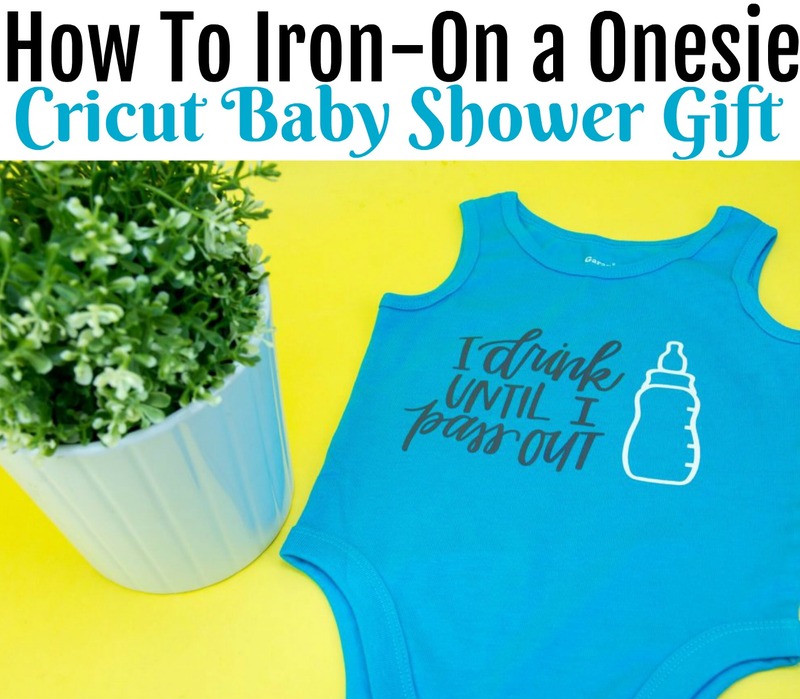 Check out this post about How To Iron-On a Onesie – Cricut Baby Shower Gift. Measure your onesie and adjust the size of the cut file in design space to fit well onto your onesie. Let the Cricut do the work and cut out your bottle design and quote. Since this is a multi-layer project I chose white for the bottle and gray for the quote. Once they’re done being cut unload the mat and weed both designs. Place both designs onto your onesie and decide where you want them to go. Remove the bottle decal and get ready to Iron-On the quote. Place the onesie on top of the EasyPress mat and once your EasyPress is preheated apply pressure and heat the onesie for 30 seconds. Peel up the transfer sheet. Repeat the process on your bottle decal but before you start heating it place the transfer sheet you peeled up from the quote back over it. This Protects the quote from the heat. Once the bottle is adhered peel up both transfer sheets and enjoy!